Attention readers, bloggers, fans and resolution enthusiasts. I’m happy to report I’ve finished my first book in my 2015 Reading Challenge conquest! For those of you who don’t know about this year of literature, check out my previous Book Worm post at Taking a Page from ‘Julie and Julia’ and find out more about my New Year’s resolution to read 50 books by the end of 2015. Starting right with number 1, “A book with more than 500 pages” seemed like a good way to kick off the challenge and get my reading juices flowing. 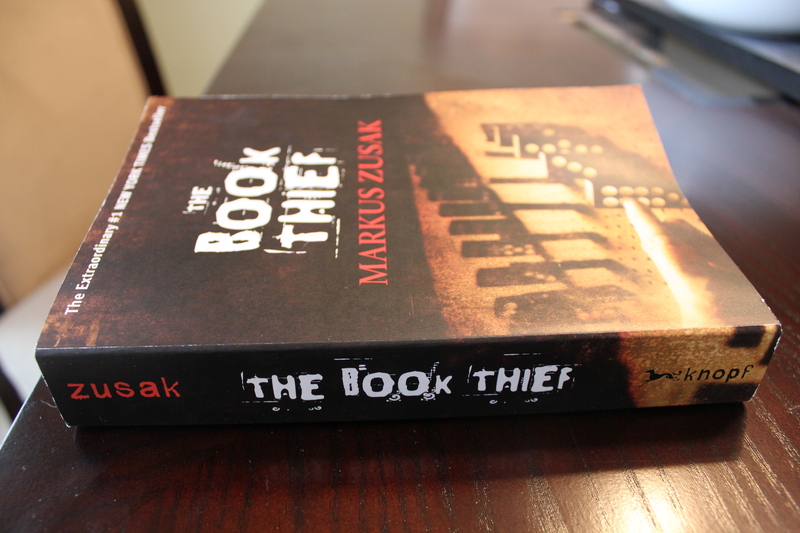 And after doing a little bit of research, I found the perfect book to match not only the category but this challenge as a whole: “The Book Thief.” Written by Markus Zusak, many of you may recognize this title after its motion picture version came out in 2013. The title of the book clearly spoke to my renewed desire to read more, and I must say it’s one of the fastest books I’ve finished in a while (and not just because of the sake of the challenge). With that said, here’s a little taste of what “The Book Thief” has to offer and what makes this book such a fantastic page-turner. Let’s begin . 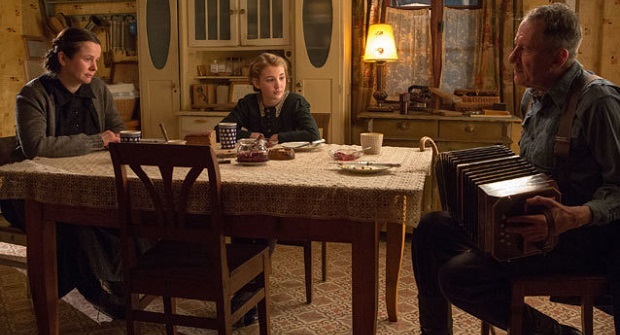 . .
Set in the early 1940s, in the small German town of Molching during World War II, a young girl named Liesel Meminger becomes the foster daughter to the Hubermanns, Hans and Rosa. After witnessing her younger brother’s death and being given away due to her mother’s communist background, little Liesel is left stranded and scared in a place she doesn’t know with people she’s never met. 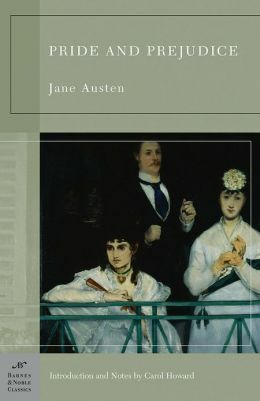 The opening scenes of this book don’t paint much of a happy picture, a fact made more apparent when you realize death itself is the narrator. But hope finds its small way in when Liesel picks up a book at her brother’s gravesite — her first act in thievery and coincidentally her savior. Once her foster father discovers this in her possession, he begins reading to her every night. Despite Liesel’s own ability to read or write, this small act opens the door for her to find not only her own voice but courage, as well. She finds the ability to steal from a Nazi book burning (a dangerous act for that time) and even the mayor’s wife’s library from time to time. This courage becomes all the more important when the Hubermanns decided to help a Jewish man named Max by hiding him from the Nazis in their basement. 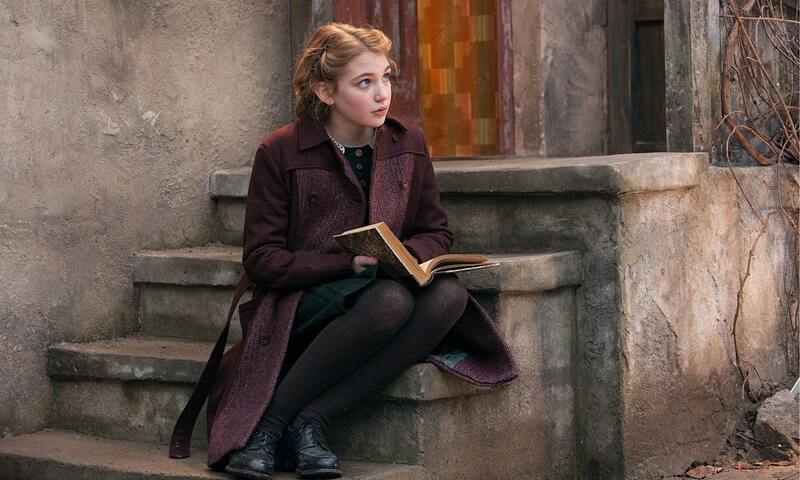 Through reading and befriending Max, Liesel ultimately discovers the power of words both for the good and the bad. 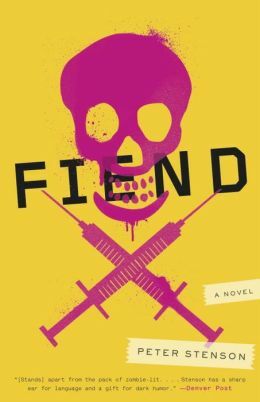 The characters in this novel are described so vividly, you’d almost think they were real people. Hans Hubermann is such a gentle soul, with his accordion, skill in rolling cigarettes and painting trade. His patience is undying as he teaches Liesel new words a little at a time by painting them on the walls of their basement. On the other hand, Rosa is a boisterous, won’t-take-crap-from-anyone woman who is described as being shaped like a wardrobe (and also has a heart of gold buried inside her). There’s Rudy Steiner, a boy similar in age to Liesel who becomes her best friend and is infamous for his devotion to the African American track and field athlete Jesse Owens. And of course Max Vandenberg, a Jewish fist fighter who is forced to flee from his family to the safety of his father’s friend Hans Hubermann. Another important character is Isa Hermann, the mayor’s wife who opens Liesel’s love-obsession with books even further by showing her their library, leading to more thievery by the book thief. And then of course, there’s death — the overseer of it all who does not relish in taking lives but does so to end the suffering and pain of others. The power in words is something not to be taken lightly and while they can bring destruction and injustice so too can they bring hope, love and courage to find your voice.